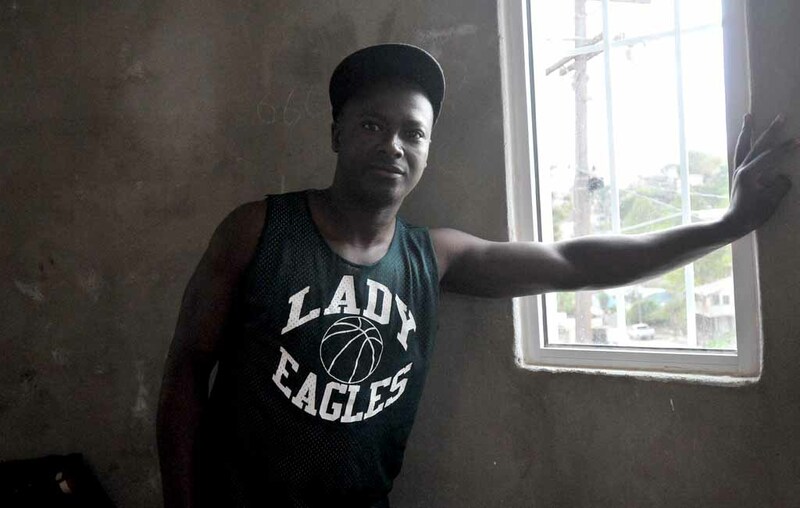 It may be called purgatory, but for a 26-year-old Haitian immigrant killing time in Tijuana, it’s more like a living hell. He says he’s gone without food for as long as two days. His frustration and anxiety are obvious. Behind him, Hugo Castro unloads 60-pound bags of oatmeal, 100-pound bags of rice, five gallons of cooking oil and 30-pound bags of sugar to make the oatmeal more palatable. Castro is coordinator of San Diego-based Border Angels’ SOS Migrants program. He and fellow aide worker Gaba Cortes drove from shelter to shelter on a recent Saturday to “decrease the suffering of the immigrants,” Castro says. Dorvil, who traveled from Haiti to the Dominican Republic to Chile and then on to Mexico, explains his life in limbo. He’s been in Tijuana for three months. 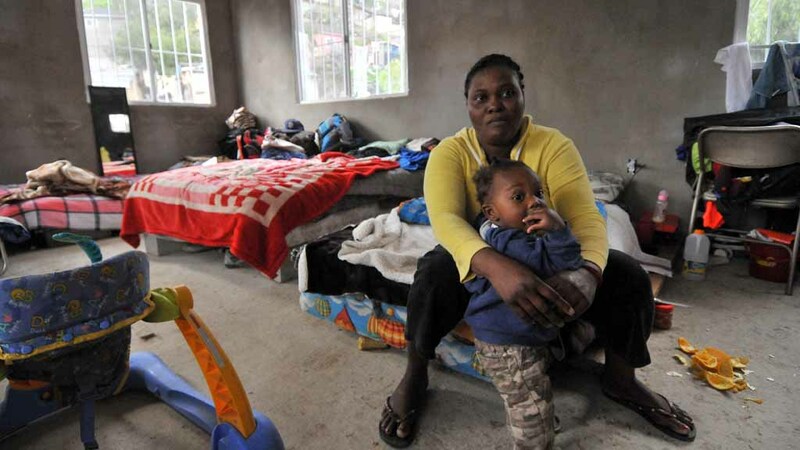 Therein lies the quandary for him and 3,500 other Haitians now in Tijuana. While American politicians debate a travel ban and immigrant deportations, the Haitians-in-Mexico crisis has been swept aside. In the wake of the 2010 earthquakes, where homes and jobs were destroyed, Haitians traveled from South and Central America to Mexico to reach the gates of the U.S. border only to find them locked. What becomes of Haitians returned to their homeland? “There is nothing in their future,” said Jean Elise Durandisse of the Haitian Methodist Ministry of San Diego, associated with Christ United Methodist Church. In Mexico, Haitians seek jobs to support themselves and their families, but they cannot receive work permits to secure a job. Permits require a company job offer or contract and various documents. So they pick up day jobs in construction, taco shops and car washes. Castro wonders aloud: “For the ones who want to incorporate themselves and wait for a while in Mexico, trying to kind of settle down and get a job, how can they improve themselves from being in a shelter to having their own place if the police don’t let them work? Castro’s deliveries are part of years-long effort by Border Angels to bring aid to refugees from Central America, other parts of Mexico, Africa and most recently those fleeing the impoverished, damaged Haiti. SOS Migrants responds to emergency calls for help and reaches about 5,000 immigrants, including 3,500 Haitians in 32 shelters south of the border. Also helped are Central Americans fleeing violence at home and those deported from the United States. Castro, who holds a bachelor’s degree in international business from San Diego State University, said the relief effort started with one shelter — delivering donations gathered from Border Angel volunteers. 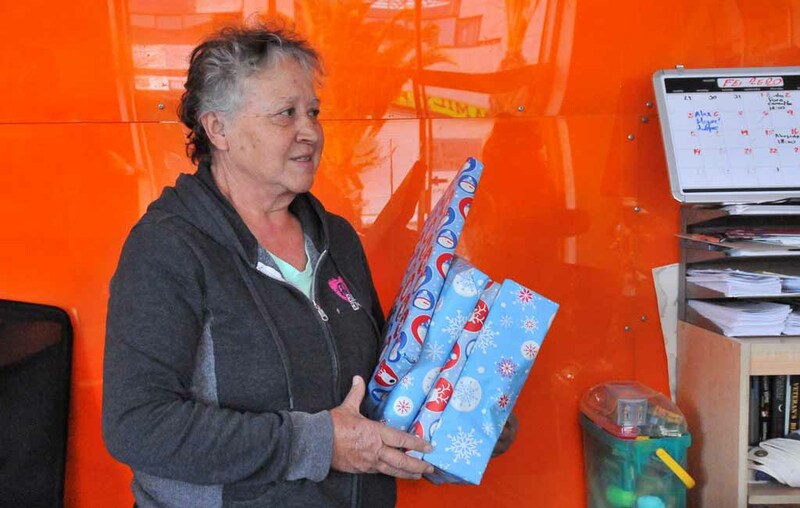 With the increase in community donations, the number of served shelters has grown to 20 — 18 in Tijuana and two in Calexico. Both are border cities where refugee populations are concentrated. The group hopes to begin an Adopt-a-Shelter program in which churches or other organizations supply funds to feed a particular shelter. Castro, 45, makes his way three to four times a week through colonias such Zona Norte, Canon del Alacran, Canon de las Carretas, Colonia Libertad, Colonia Rio parte Baja, El Florido and near Cerro Colorado. His loaded, low-slung 2005 Nissan Maxima — crammed with hundreds of pounds of chickens, rice, oatmeal, cooking oil and pasta — scrapes across speed bumps as he goes up and down hills. Twice his tires have blown from the weight. He knows the group needs a truck, but he cannot afford to buy one. Also waiting is Renex, whose wife, baby and three other relatives wait at another shelter. Suitcases and backpacks line up along the walls, resembling lost luggage at the airport. Renex traveled to Brazil because of the lure of jobs and later had to pay “coyotes” $1,000 to take his family across the mountains and through the forests of Nicaragua. He traveled three months on foot to reach the Mexico-U.S. border in hopes of finding employment north of the border. He spent about $5,000 to get this far. But rumors that young men seeking asylum at the border have been deported in recent weeks has made Renex and many others rethink their options. “Now, they’re scared,” said Castro, a U.S. native born in Salinas but living in Tijuana. For now, Renex’s family feels safe in the shelter while he finds day jobs. He doesn’t want to risk deportation. Pastor Bill Jenkins of Christ United Methodist Church in Normal Heights said he has received reports of two deportation flights a week taking 270 Haitians back to their capital Port-au-Prince — a total of about 1,000 deported each month in the past six to eight weeks. About 5,000 Haitian refugees knocked on doors of the Jenkins church in June, as his congregation worked to help them. He struggled to house and feed the masses, 90 percent of whom have since moved on to Florida, New York, Boston and Baltimore. Jenkins estimates about 500 Haitians remain in San Diego and a “tremendous” need exists for food, transportation and clothing. 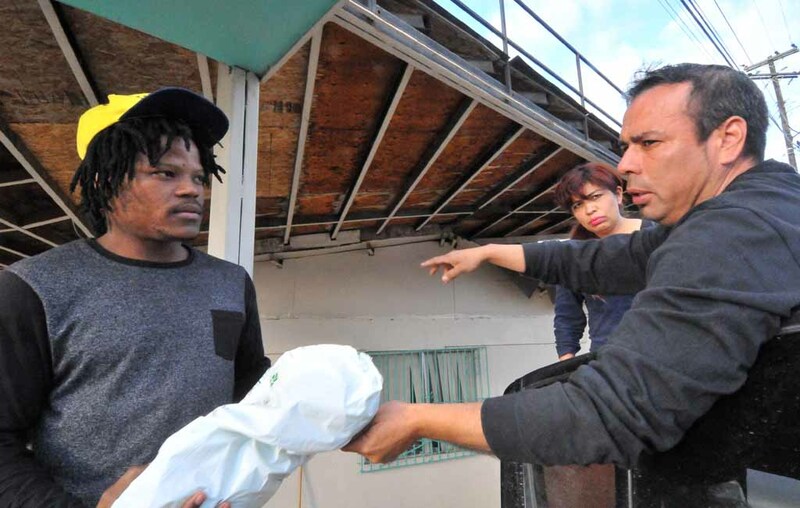 His church donates to Haitians living on this side of the border and also at a shelter in Tijuana. After the devastating earthquakes, many Haitians found open doors in Brazil, Venezuela and Chile. But a downturn in the economy hit those countries. No longer able to find jobs, they hoped for a welcome and open door at the U.S. border. 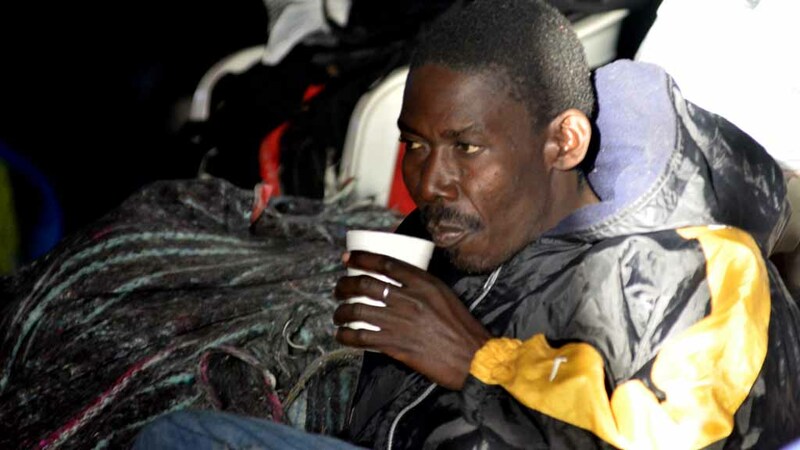 Having been out of Haiti for two or four years, they will find it difficult to claim asylum, which requires an immigrant’s fear of persecution if they return home, Durandisse said. Financial hardship is not a sufficient reason for asylum, he said. Maria Galleta, who works in partnership with Border Angels, explained recent developments. Galleta lives in San Diego and daily travels to Tijuana where she runs Madres y Familias Deportadas en Accion. Her office offers immigrant and military veteran services including English and Spanish classes, clothes, shoes, snacks and coffee. It is in Plaza Viva Tijuana, one block from San Ysidro’s PedWest Point of Entry, which also is a deportation zone. She said some work as maids or janitors, but aren’t getting better jobs for lack of a permit from the Mexican government. While used clothing is considered contraband in Mexico, Galleta and Castro say they supply what they can. The shelters in Mexico are run by nonprofit groups, not by the Mexican government, Castro said. Conditions at the shelters range in quality. 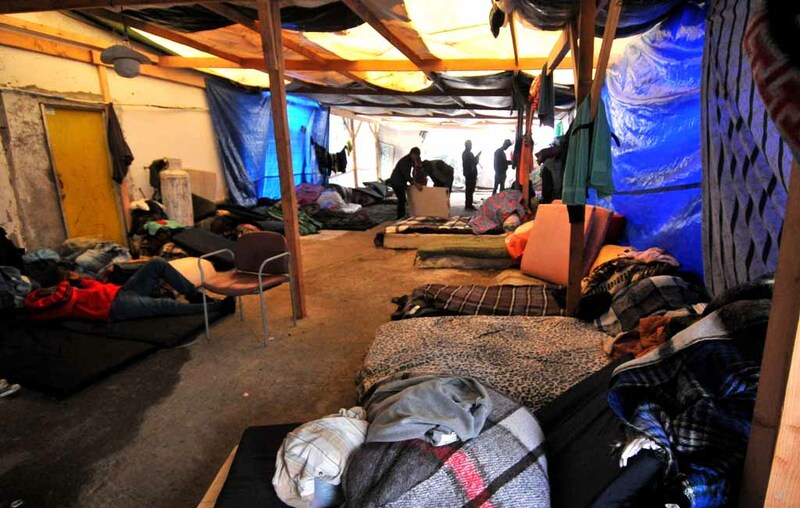 While some refugees sleep in bunk beds (a standard Castro would like to see at all shelters), others sleep on pieces on foam atop wooden pallets, on mattresses on the ground, in tents and some on blankets on the floor. While the shelters are clean, hundreds are packed on cold floors with their belongings piled beside them. Some sleep or stare at cellphones to pass the time. 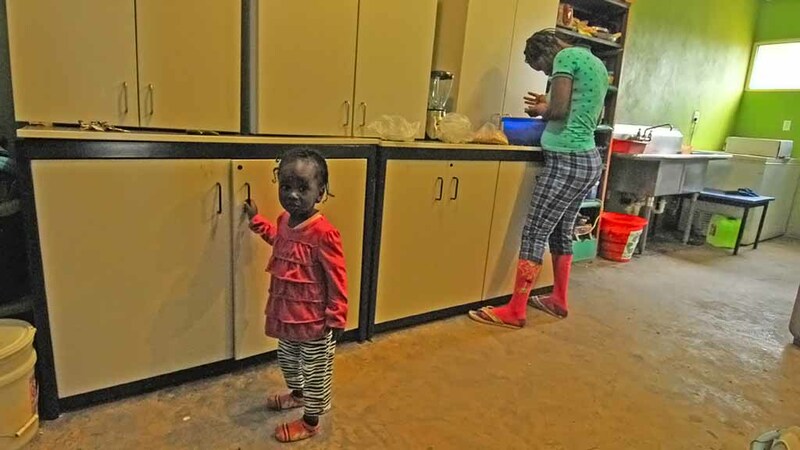 Women work in the kitchen and watch after the young ones. 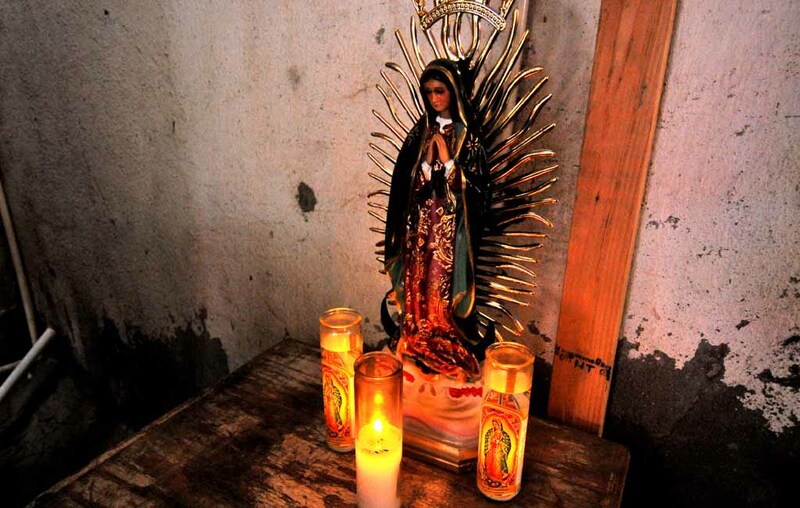 Border Angels is hoping to renovate a shelter near the border and install an office there. Founded by Enrique Morones in 1986, Border Angels is an all-volunteer nonprofit advocating for human rights, humane immigration reform and social justice with a focus on U.S.-Mexican border issues. Its activities include desert water drops, immigrant lawyer counseling, day labor outreach and binational activities at Border Field State Park including, Masses, Posadas and family reunification. People interested in donating to the SOS Migrant program can reach Border Angels at its website or Facebook page or by calling their office at (619) 487-0249. Religious or community organization may also choose to “adopt” a shelter temporarily. University students also are becoming active in the effort, Castro said. Meanwhile, Castro said, the Haitian refugees hope that President Donald Trump will have a change of heart about immigrant entry.